June 24, 2014 September 8, 2015 / Javan H.
It’s been a few months since I’ve posted one of these. I’ve been doing Baton Rouge quite a bit lately, but I haven’t been able to document it as well as I had hoped. These next few entries will be about the places I’ve visited over the past year (I’m backed up just that far), with a few ‘rush orders’ mixed in. For this #JDBR blog, we’re going to flip the calendar back to Mother’s Day 2014. I’m going to take you somewhere I’ve been wanting to visit for nearly ten years: The Gilded Lily. The Gilded Lily is a jewelry and crafts boutique located on Lobdell Avenue in the Towne Center area. I first learned about them from a television ad circa 2006, roughly a year after I moved to Baton Rouge from the storm. Even as a seventeen year-old, I knew it would be the perfect place to find gifts for the women in my family, but I simply hadn’t been able to get there. Fast-forward to 2013, I saw a silver-haired lady repainting the familiar wooden sign in front of the building. I had passed The Gilded Lily all these years, and in seeing her out there, I realized that I now had the means to make my first trip there. Either which way, it would take another year for me to actually set foot. Now in 2014, I already knew what I was getting my mom for Mother’s Day, but I was unsure for my grandmother. Out of nowhere…boom…The Gilded Lily came to mind. I’ll go ahead and say this: part of what took me so long to visit was the area; Towne Center is the Rodeo Drive of Baton Rouge. With the word ‘gilded’ being part of the store’s name and me being a college student on the come-up, I figured the prices would be out of my range. But the minute I took the first step through their residential-style door, I knew I had hit the jackpot. I was helped by a lady named Ms. Elaine. 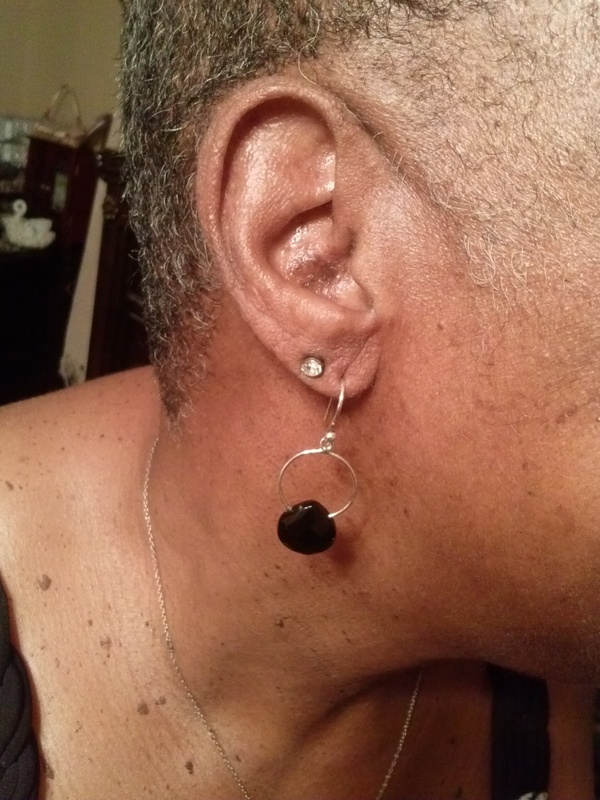 Through her assistance I chose a pair of silver and onyx earrings, marked down to $36 (I believe they were half-off). Onyx is a semiprecious black stone, and when it comes to accessories, black is my preference. The color blends with everything, adding a touch of elegance to any and every outfit. She then offered to gift-wrap them at no cost! There was a glitch in the system when it came time to ring up, but the issue was quickly resolved. The Gilded Lily opened in 2003 by “Pearl Ladies” Anne Arceneaux and Carmen Cantwell, who I saw repainting the sign. As stated before, The Gilded Lily has something to offer anyone of any gender and age, but they specialize in custom pearl jewelry for women. As I briefly browsed the store, I noticed a rack of necklaces on the leftmost wall akin to the 1MX displays at Express. I swear, I saw every single color of jewels you could imagine, and if you wanted a different color, the GIA-certified jewelers would make that for you custom! The prices were all over the map, all of which were reasonable; I’ve seen sale items in the teens of dollars, with antiques, replicas and estate pieces reaching the thousands. I’ll also point out that The Gilded Lily designed jewelry for The Twilight Saga—Breaking Dawn. The collection is available to the public, with prices ranging from $30 to $4000. The Gilded Lily also sells pieces from the Joan Rivers Classic and Jacqueline Kennedy Collections. My red bed sheets were perfect for this picture. 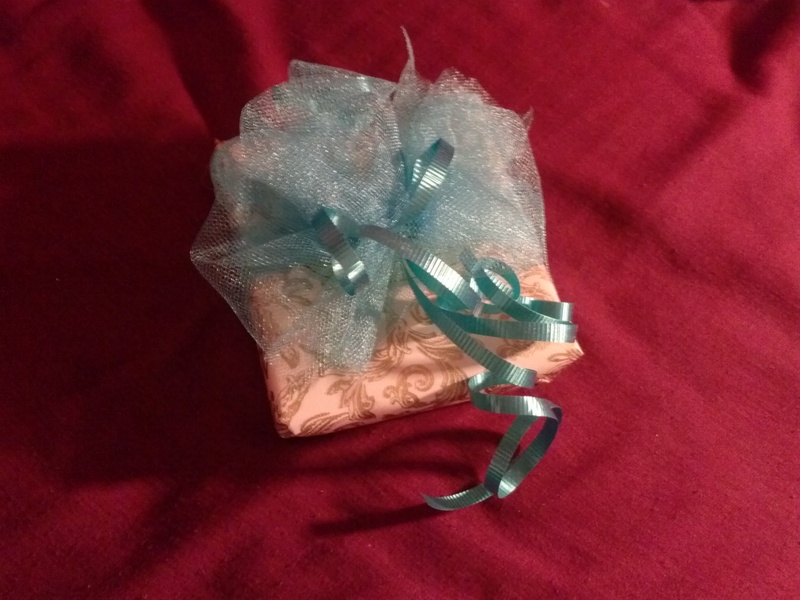 I was given my merchandise in a gold bag, the earrings wrapped in a gold box with a blue ribbon. The ten-years-long wait was over, and I left The Gilded Lily a happy…gilded camper. I gave the box to my grandmother on Mother’s Day, along with my traditional sarcastic greeting card. To this day, as you’re reading this blog, Grandma has yet to take off the earrings. I rest my case. Thank you, The Gilded Lily. The Gilded Lily is located on here in Baton Rouge, Suite A in a small strip on your right-hand side if you’re headed towards Towne Center. You won’t miss it because of the large wooden sign along the street. The Gilded Lily also has an online store at www.thegildedlily.biz. However, I highly recommend everyone visit the brick and mortar store at least once, as the experience is too great to pass up. I will have my recaps of Tony’s, Bin 77, Blend and many other local gems posted in the next few weeks. Stay tuned for more as I continue to roam around Baton Rouge. Support our local businesses. Pingback: Javan Does Baton Rouge — CC’d: Coffee House | Javan H.
Pingback: Javan Does Baton Rouge — Chicken Shack | Javan H.
Pingback: Javan Does Baton Rouge — Toodaloo Shrimp | Javan H.